Whether you need a high-quality image for print, or something to add to a Power Point slide deck or website, GAUSS provides tools that make interactive graphics editing and export simple. GAUSS shows you exactly what the exported graph will look like ahead of time, so you can get the image you want the first time. 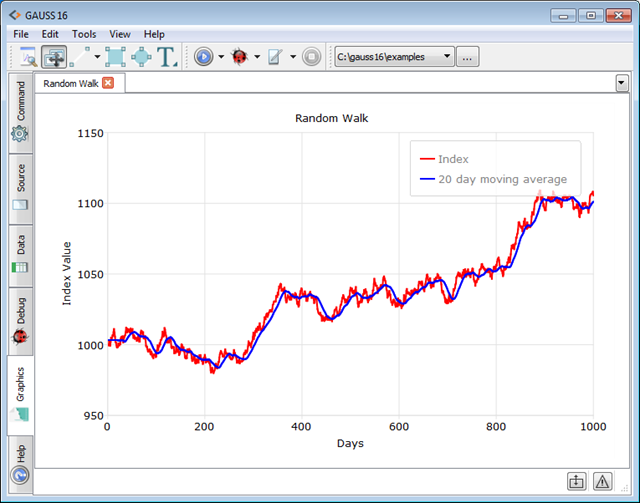 This should create a graph that looks like the image below, on the GAUSS graphics page. Our goal for this tutorial is to create a 640 pixel wide image to add to the end of this tutorial. 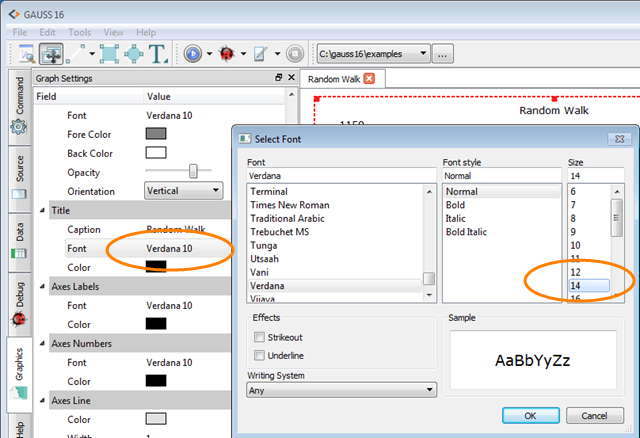 Our first step will be to open the GAUSS graphics editor, by selecting "View->Graph Settings" from the main GAUSS menu. After clicking the canvas, the Graph Settings window will switch from showing graph settings (line color, title font, etc) to showing canvas settings. 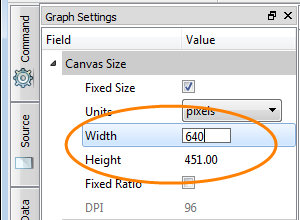 We will use the canvas settings to size our graph. 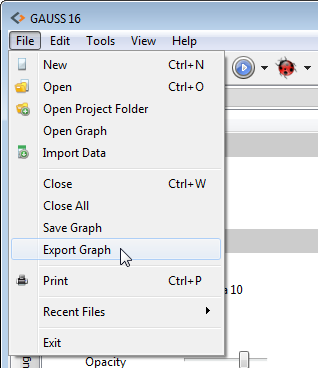 By default, graphs in GAUSS are sized dynamically. This means that they take up as much room as is available in the window. 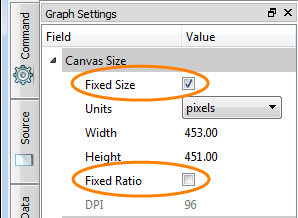 To specify a particular size for the graph, we need to first set the graph to be a fixed size, by clicking the 'Fixed Size' checkbox. We will also want to change the width and the height independently of each other, so we will uncheck 'Fixed Ratio'. 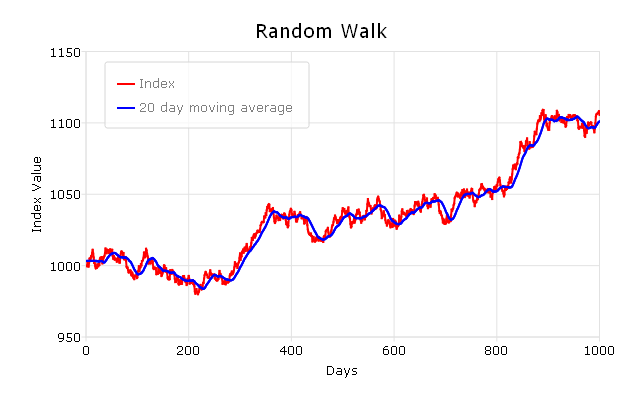 To change the graph size, double-click the number next to width and enter the desired value--in this case 640 pixels. Repeat the same for the desired height. We will set the height to 400 pixels. 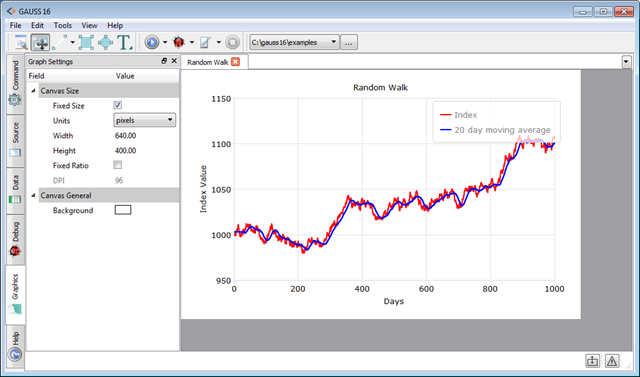 Now you will see exactly what the exported graph will look like. The graph looks good, but we can make it better with a couple of changes. Let's click and drag the legend to the open space on the left top of the graph. Then using your operating system's windows: choose a name, file type, and folder in which to save the file.